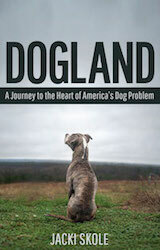 We were thrilled to hear Dogland reviewed by Robin Lamont on the Our Hen House podcast. Among the many great things said about the book, Robin said she would recommend the book for anyone who has rescued a dog or is planning to do so. We certainly agree! You can listen to the review here.